This swamp is located on Section Line Rd. in Columbus, near Officer's Lake. It's a long straight dirt road with nothing but trees and swamp. 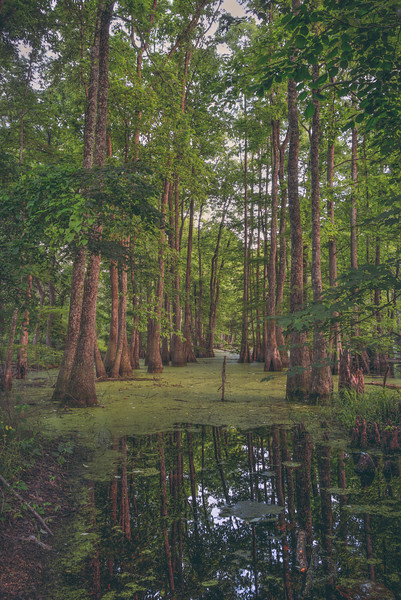 I like to photograph swamps though because, they are alive with texture and they also are very shaded which helps with light diffusion that gives a nice even brightness throughout the photo. The waters are always very calm also which gives you a nice reflection. This photo is almost fantasy like in my opinion, which I really like.